I picked up my copy of The New Cool by Neal Bascomb at Borders the other day. While the cover and subject matter caught my eye initially, I was on the fence about buying it until Borders’ going out of business clearance prices convinced me to splurge. The first thing you should know about the book is that it’s a very quick read. I went cover to cover in just over 24 hours, often reading for long stretches at a time because I couldn’t pull myself away from the story. In a nutshell, The New Cool follows a FIRST Robotics team from California over the course of their season as they strive to achieve dominance at the 2009 FIRST Championship. Team 1717, The D’Penguineers, from Dos Pueblos High School in Goleta, CA and their lead mentor Amir make up the primary focus of the book. Amir has started up a popular Engineering Academy within the high school and is in the midst of trying to secure funding to greatly expand the size and scope of his academy. The 2009 FIRST competition is make or break for Amir’s dreams and the future of the academy will be decided on the success of Team 1717. Should they make it far enough along in the competition Amir will most likely be able to secure enough funding to expand the Engineering Academy. If not then the academy’s future will rest on uneven ground. The New Cool documents the team’s entire journey from brainstorming the initial robot design to the Championships in Atlanta, Georgia. In my opinion, the author does a fantastic job of drawing the reader into the world of Team 1717 and causes them to become invested in each of the characters from mentor Amir, to lead programmer Gabe, lead driver Chase, or any of the other students involved in the project. While discussing the construction of the D’Penguineers’ robot the book never delves too far into the technical details of the bot’s various systems and instead focuses on broad overviews of each system and the human issues within the group. Even still, the complexity of the Team 1717’s design shines through whether Bascomb is describing the omni-directional drive train or the auto-targeting turret mounted atop the robot (probably my favorite part about the robot). Quite a few times during the book I found myself impressed at what this group of high school students was able to do and I definitely wished that my high school was involved in FIRST some 9 years ago when I was just a lowly freshman. Occasionally the book will take a break from Team 1717’s progress to mention one of their competitors including a team from Detroit who took first place the previous year and an inner city school from the South Bronx. These brief excursions didn’t take anything away from the story. In fact, they added to it as it was interesting to see how various teams approached their designs. There is also a brief section of the book which provides background information on the formation of FIRST and its creator Dean Kamen. The main message of the book is to demonstrate how FIRST is striving to make STEM related activities the “new cool” in high schools across the US and how important it is to change public perception of science and technology. In that regard, I feel that the book delivers its message wonderfully. When the message of how our future lies in the hands of students becoming excited about science and engineering gets restated in the text it is done so in a way that is never preachy and so I never became annoyed with the tone or flow of the book. 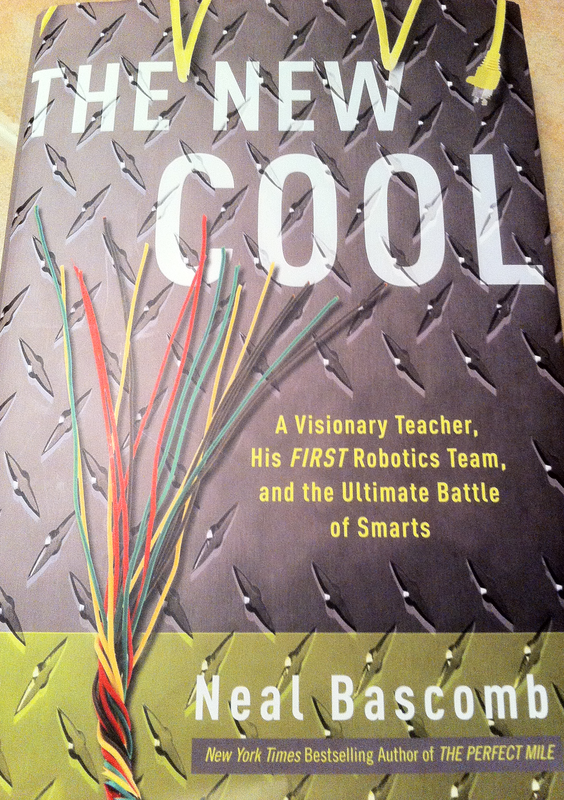 Overall I would highly recommend The New Cool to someone who is interested in learning more about FIRST Robotics and is looking for a good read.